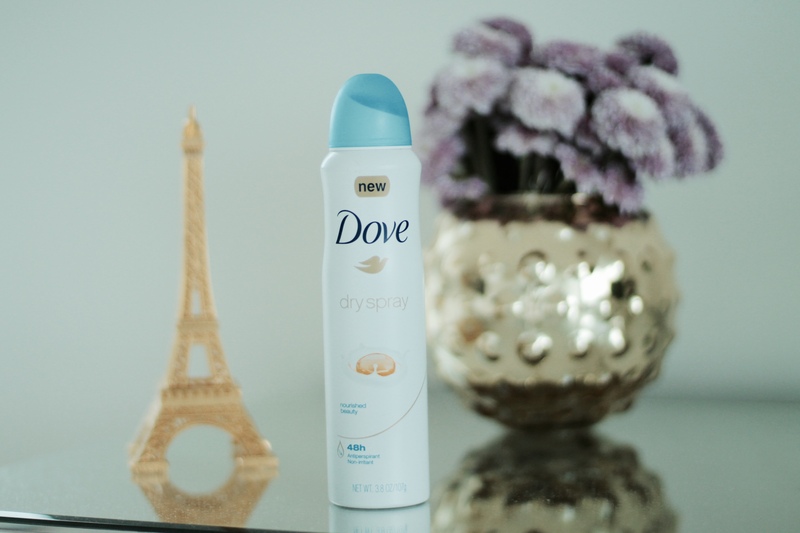 Ladies, Summer is soon wrapping up and I have truly tested a product to its limits- The Dove dry spray antiperspirant. Deodorant sticks are so 2000 and late. Let’s get with the program, fancy friends! Have you ever had a gorgeous dress or top on, or not, (lol) and raised your arms to be struck by the nasty deodorant underarm stains and residue? Ugh! Me? Yes! It’s so embarrassing. And let’s not get started about how disgusting it can look. Have you ever put on a gorgeous fitting dress, and taken a glance at the mirror to BAM, annoying deodorant lines everywhere? I’m so guilty! Say goodbye to those annoying little residue balls and lines across your dress. Thanks to Dove, we are now in the IN and in the know. So to combat these evil little things, I picked up this new and innovative formula at Walmart and I just have to share with you. Here’s what I do: I apply the deodorant stick right after the shower, usually the night before. The following day or right before I head out to an event, instead of applying the Dove stick, I sprits the Dove dry Spray and voila! I love it. There are 6 new fragrances and my favorite is “ Nourish Beauty“. If you decide to try it, let me know. I would love to hear your thoughts.